Charlene Adams teaches voice in her home studio in Layton, Utah. She has been teaching voice for six years but she started performing when she was five years old on a little concrete pad in front of her family home in Meridian, Idaho. Music and performance has always played an important role in Charlene’s life, as well as helping others, especially children, find music and creativity in their own lives. Over the past 20 years Charlene has instructed children in drama, music and academics. She has been an advocate for the arts by serving on private and community Arts Council boards and Arts Education committees. In those 20 years Charlene has performed on stage in many musical and dramatic productions. She has spent six years Musical Directing for the local junior high and community theater company. She also spent the last three years organizing teacher-training events in Utah with some of the world’s highest quality voice instructors. 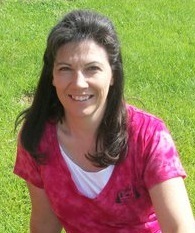 Charlene is thrilled to be a member of the IVA community as the Utah Area Representative. Singing and performing have brought such joy to her life. She believes IVA will help her to continue to bring that kind of joy to others.